I LOVED my time onboard the Marella Discovery. 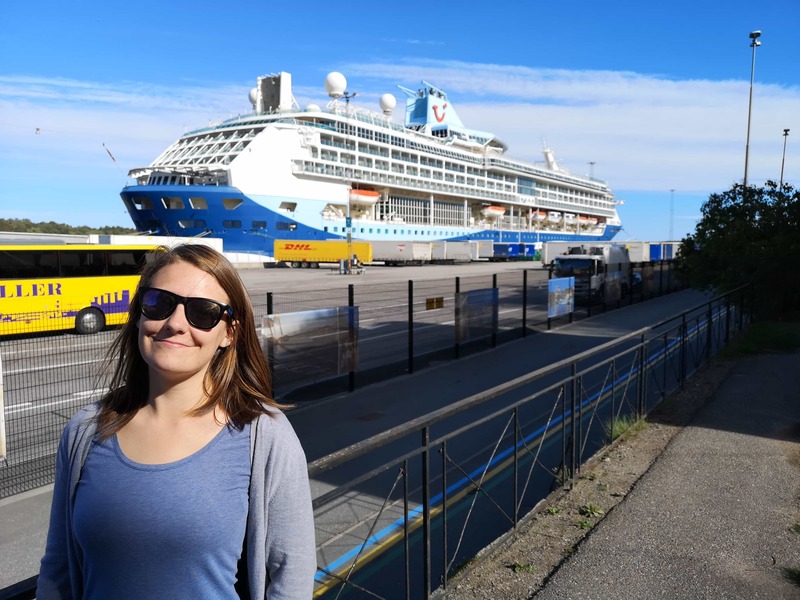 She was my first Marella cruise and I was so surprised by how much there was to do onboard and how much was included in the cruise fare. She is a mid-sized ship (1800 passengers) but felt much bigger. The number of options onboard meant that I was never ever bored or hungry. 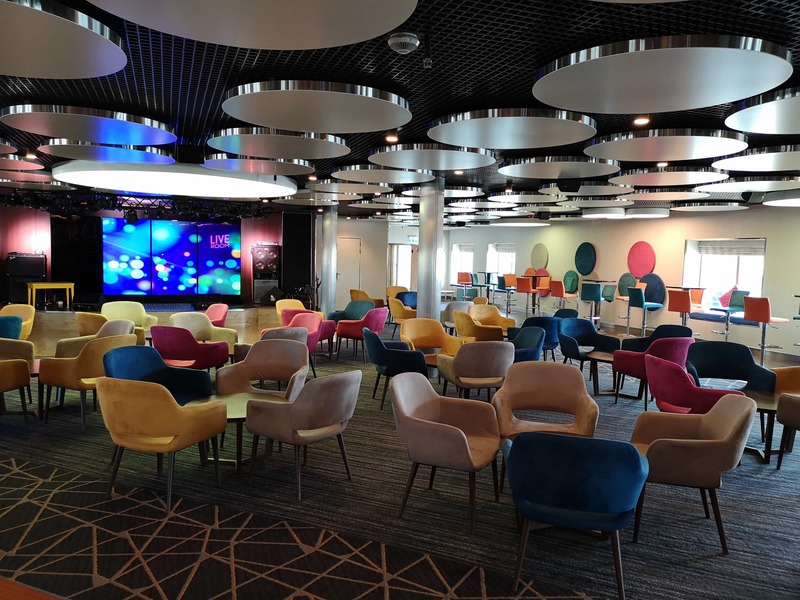 If you are considering a cruise onboard the Marella Discovery soon then this is the post for you. 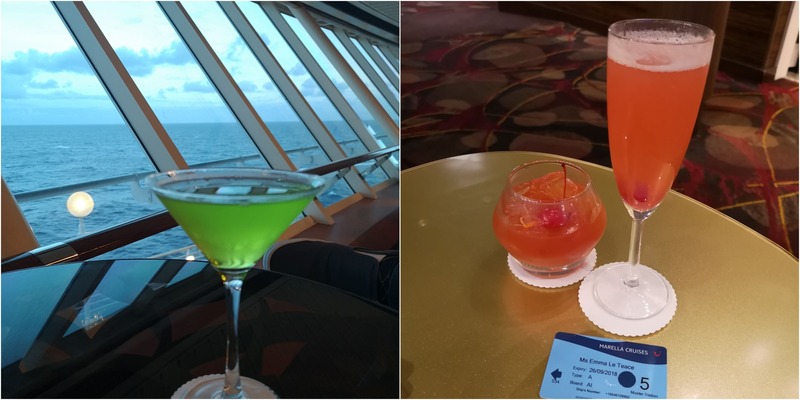 In this post, I aim to let you know about all the free things you should not miss out on when onboard. I was onboard for two weeks but it took me a while to find a few of these out! The glass house is a restaurant located by the inside pool. 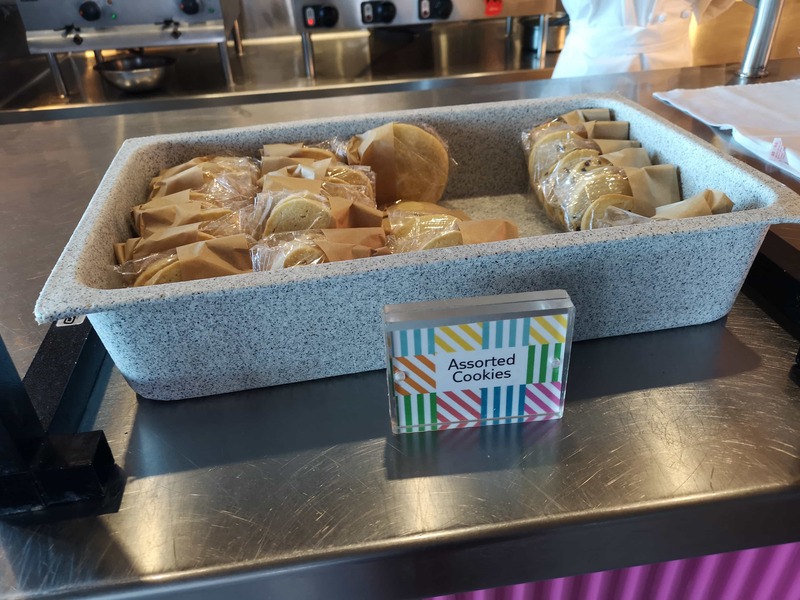 During the day you can grab ‘deli-style’ bites here such as wraps and smoothies. This starts at 11am and continues until 6pm. In the evening the place transforms into a restaurant which serves Tapas, Pizza and hot stone cooking. (There is a charge for cooking on hot stones, I will be reviewing this in my speciality dining review post coming soon). Head to the glass house to have a flat bread pizza. They have a few options on the menu as well as a ‘create your own’ option. I try to avoid dairy so took the cheese off of my pizza each time that we visited. They also give you bread baskets here before you meal that are AMAZING. Jono and I managed to eat a whole bread basket each before our pizzas came. The service here was really good (it was on all parts of the ship). We were offered drinks multiple times during each visit and were asked often if our food was okay. It was! 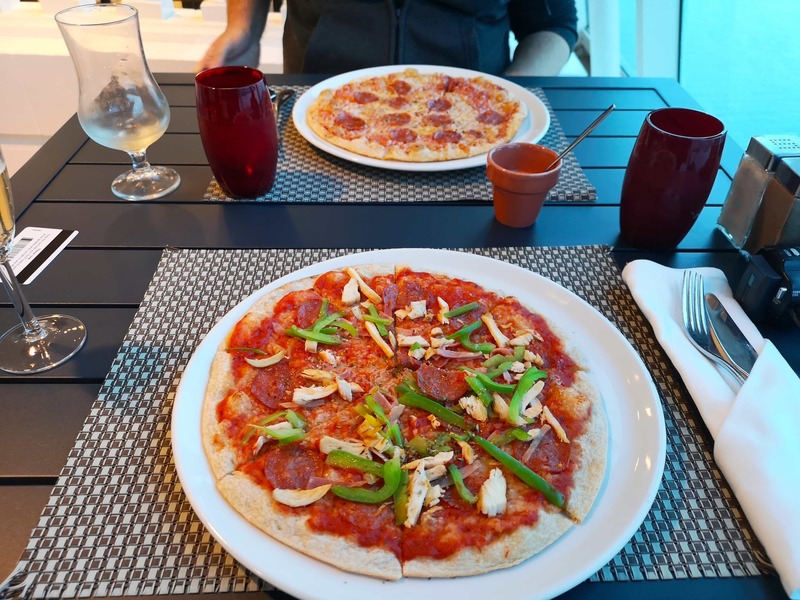 I could have quite happily eaten the pizza here every day of the cruise but thought I had better try something else, for research purposes of course! There is a ‘secret’ adults only area behind the gym. It isn’t advertised very well and I believe you could easily cruise for a week or two without knowing that it was there at all. You can either get to it by walking through the gym or if you go to the rock climbing wall on the level above you can walk down to it. 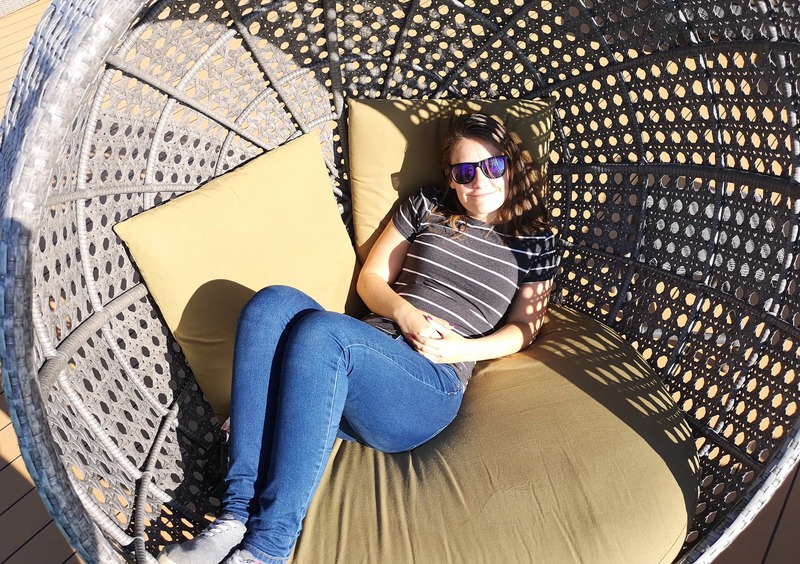 There are sun loungers here as well as some big egg like chairs. These are SO comfortable but be warned, once you get in you may never get back out. I had to ask Jono to help pull me out… It is usually pretty quiet here. I’m sure that most people don’t know about it! 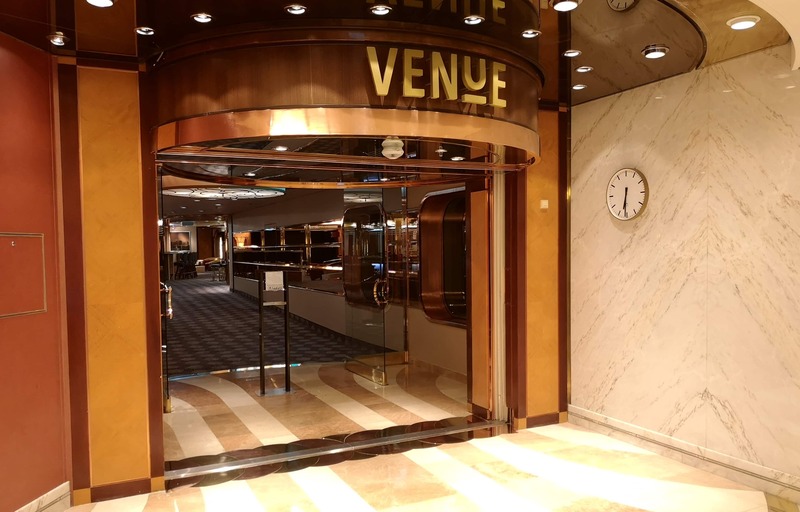 It reminded me a little of the pay for extra areas on other cruise lines and I wondered if other passengers thought that you had to pay to enter? 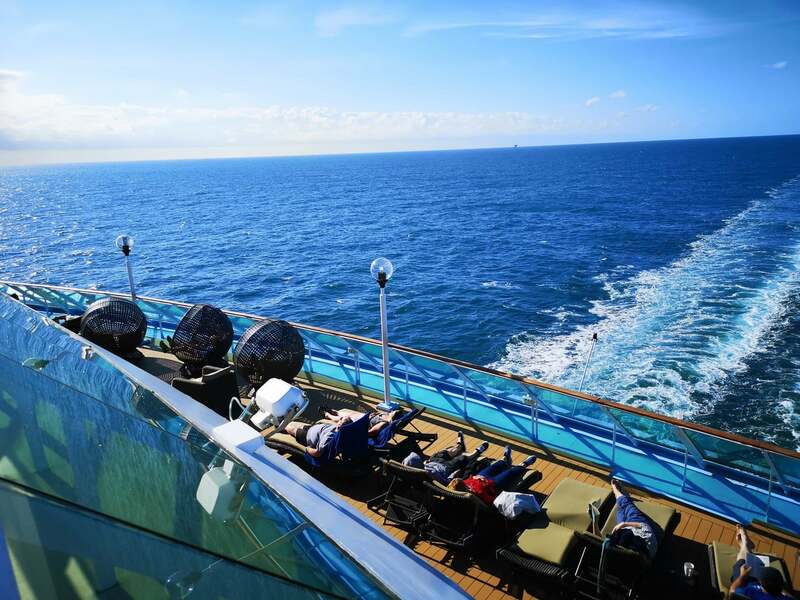 Either way, it’s a great place to relax and watch a sail away. 3 – Have a drink! Have a drink! 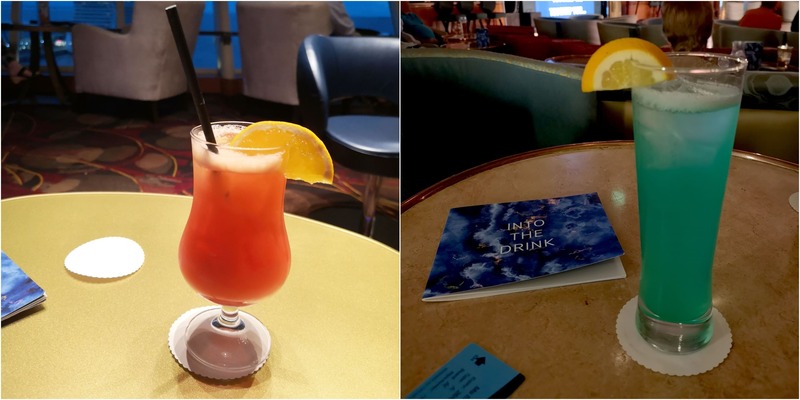 There are SO many drinks included in the Marella cruise fare (currently not on all ships but will be from May 2019). Make the most of this and try to work your way through the menus. 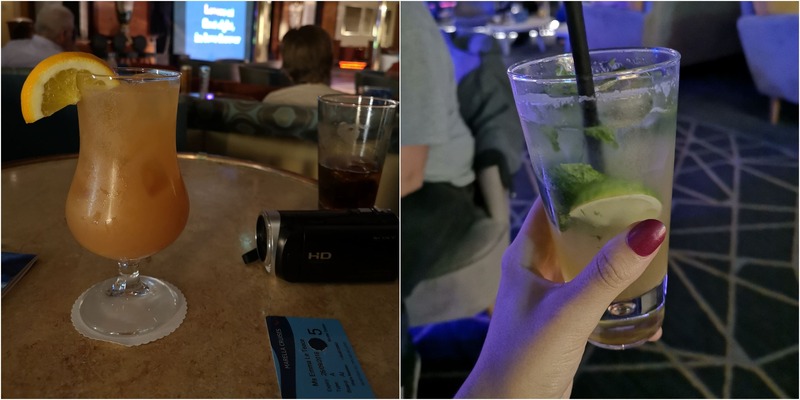 I don’t think it would have been possible for me to try all of the free drinks in my two-week cruise but I gave it a good shot! What is included in Marella’s ‘all inclusive’ drinks? I was amazed when I first sat down onboard and flicked through the menu. Before cruising with Marella I knew that some drinks were included but I expected this to be a couple of beers, wine and soft drinks. I had no idea about the number of cocktails and spirits that were included! Each bar has its own menu but all serve drinks from a universal menu called ‘into the drink’. You’ll find this menu everywhere and it has page after page of included drinks. In total, I counted over 120! Each time that you enter the theatre or walk past the pool you will be offered a drink from a table of ready prepared drinks. It is really easy to get a drink this way but it is also really easy to sit down and wait for a waiter to come to you. Quite a few of the waiters recognised us by the end of the cruise and would know what we wanted before we even spoke. Amazingly I never really saw anybody who was drunk around the ship. 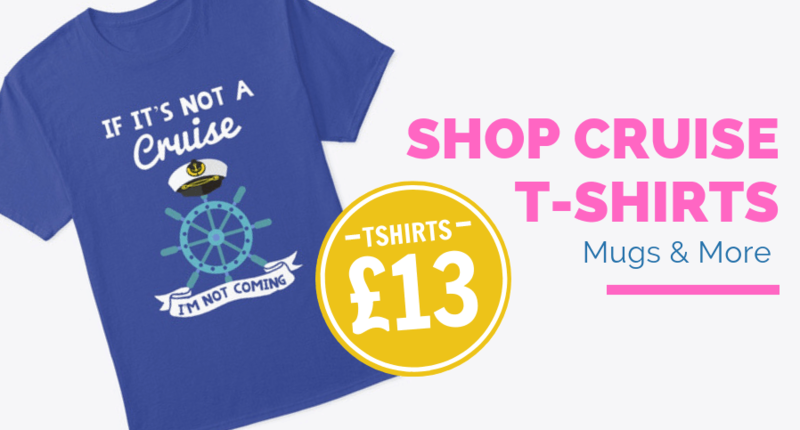 I’ve seen a lot rowdier behaviour on other cruise lines like Royal Caribbean, NCL or MSC. What do the discovery show team do? 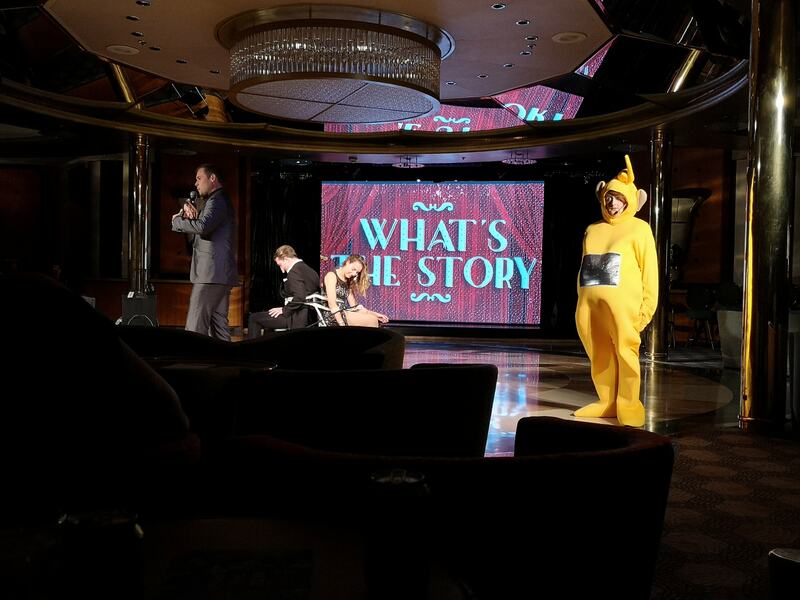 The discovery show team put on a different show every night of the cruise and they do each show twice a night. 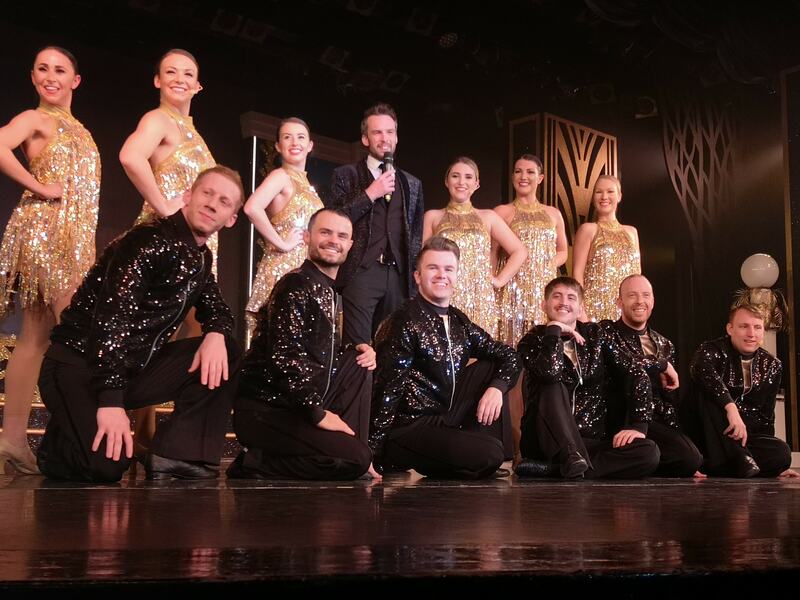 In one show they perform the can-can, twice… and they do that twice a night! How they do it I will never know but I always come out of the show feeling energised and happy. Most shows were a mix of dancing and singing with some comedy thrown in for good measure. The choreography was amazing and kept my attention for the full hour, my mind usually tends to wander so this is impressive! Each singer and dancer was also extremely talented in their own right and none of them would look out of place on a Broadway stage. Some shows were backed by a band. 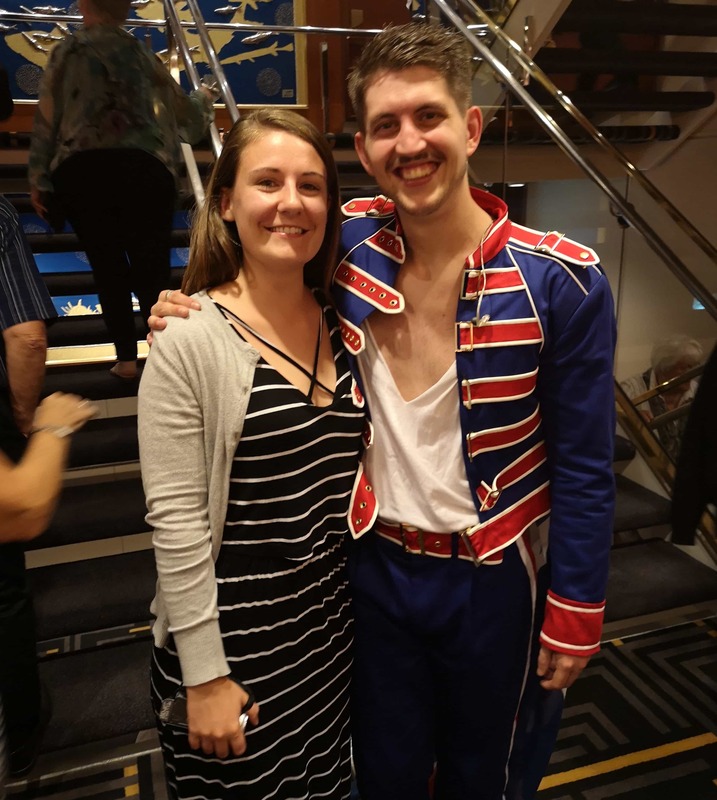 One of my favourite shows onboard was called ‘Sebby Mercury’ and featured Seb (a member of the discovery show team) performing many of Freddie Mercury/Queen’s hits. The show was incredible. Not only is Seb an amazing singer but also quite a showman with a great stage presence. He had the whole audience singing and clapping along throughout the show and received a standing ovation at the end. I had my photo taken with Seb at the end of the show, I’ve never seen passengers queue up to have a photo taken with a singer before! Mini golf is located at the back of the ship as is free to use. It is usually open from around 10 am until 9 pm, each day the times are listed in the cruise news. The golf course has nine holes and we enjoyed playing it. At the start of the course you pick up the clubs, a score sheet and a pencil to record your scores. The course can get busy as it is popular. The best times to go are either during the evening or in the day during a port day. We went during port days when the ship was docked as most people were off exploring. By doing this we never had to queue or wait and completing the course took us around 20 minutes. 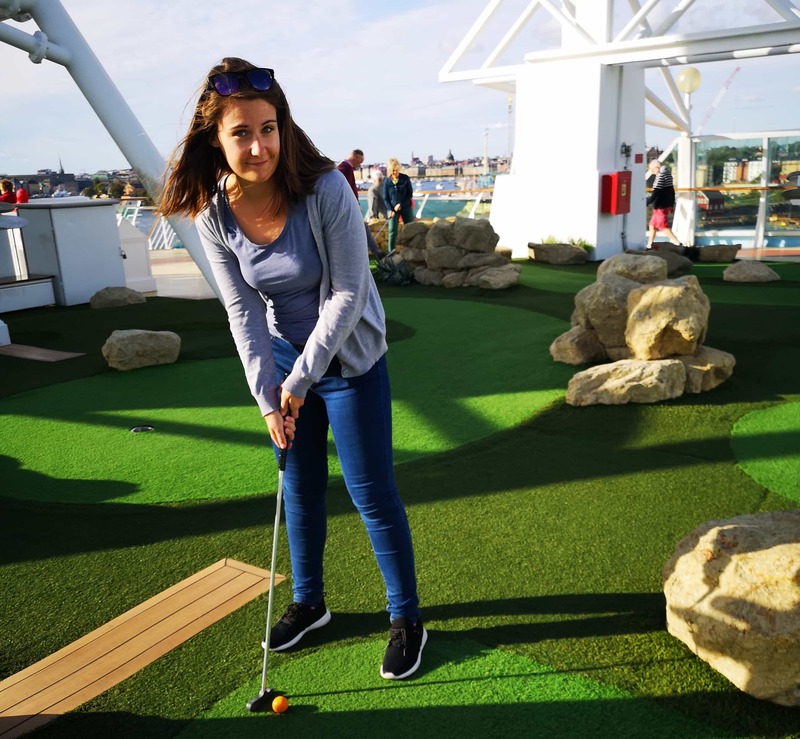 Is the mini golf on Marella ships free? Yes. 100% free all of the time. Woohoo! What is the snack shack? The snack shack is a grab and go venue and we found ourselves here almost every day of the cruise. It’s open from 11am-6pm and they serve things like burgers, hot dogs and chicken wings. There is also a section of sandwiches and salads which are being continually replaced. I had a wrap which was avocado, chicken and sweetcorn and also tried a beef salad. Why the fish and chips? Without a doubt, the best food served here is the fish and chips. Do not miss it! 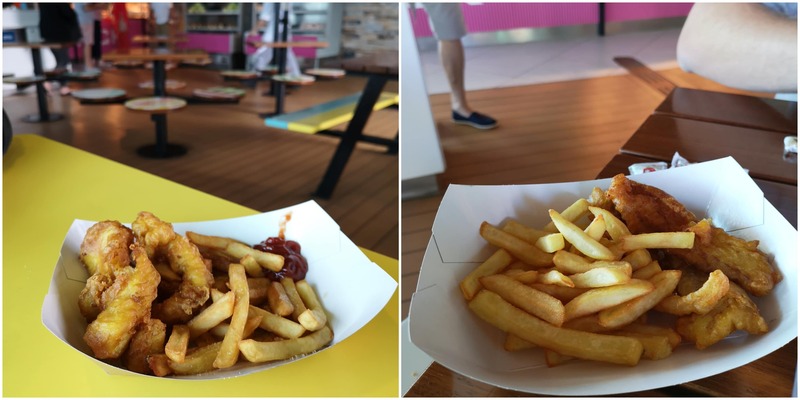 A good portion of fish and chips will cost you on some other cruise lines but its all included in your Marella cruise fare. It’s all fresh and ready to grab anytime. Grab another drink and sit in the live room. The live room has live music playing every single evening and the musical acts were really varied. The ships main band B2 play here as well as various other musicians. I really liked the atmosphere in this lounge, it was always relaxed and fun. It’s very colourful too which I love. Below is a photo I managed to take when it was empty! They serve mason jar cocktails here which are AMAZING. Some of them are free and some of them cost a little extra (if you don’t have the premium beverage package). They’re worth getting just to take a photo of. Multiple times a day there are trivia quizzes going on around the ship. These sometimes take place inside in lounges like the live room and they also happen on the pool deck. If you win the trivia you will win… a Marella luggage tag! Who doesn’t want that?! Just because the trivia says ‘Nice and Easy’ doesn’t mean that it is! There are a number of game shows that happen in the evening too which can be really funny to watch. I’m sure they’re also fun to take part in too but I’m not really one for audience participation! I’d much prefer to sit back with a drink and watch the world go by. Having said that, I shaved my head on this cruise on the theatre stage of Macmillan, so I guess I’m not completely against audience participation! We watched one game show called ‘what’s the story’ where each member of the audience had a voting pad and got to decide which direction the story took. The actors then acted out the story and it was really really funny. I’m not sure I can explain the below photo! The Karaoke again is really good, but really popular! We managed to get a good seat the first week but the second week we were only able to sit at the bar. That’s where the drinks are though so that’s not all bad! Make sure you get there early if you want to get a good seat. Karaoke happens in Venue and it happened twice on our two-week cruise. I’ve heard rumours that they are re-doing venue in a refurb soon, I’m not sure how true this is! It didn’t look in need of a refurb to me. Okay, I understand this one isn’t for everybody. 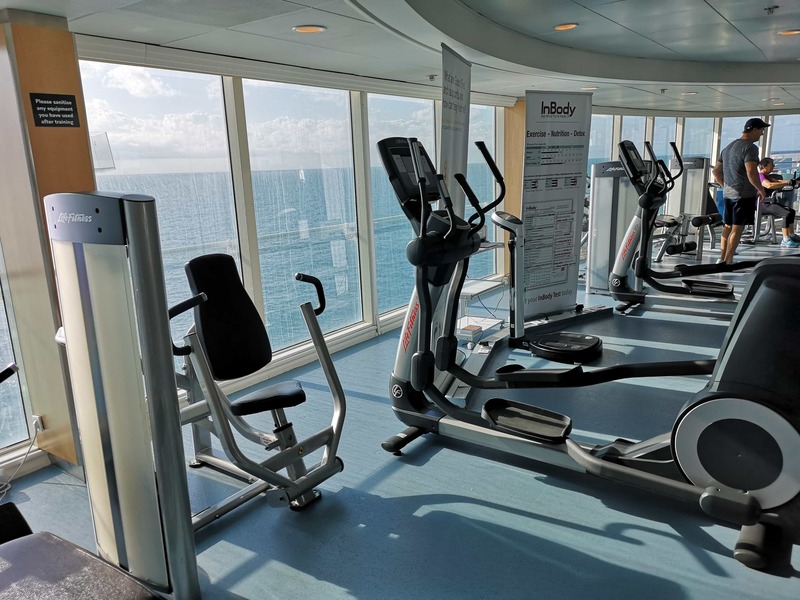 But, the gym onboard Marella Discovery is completely free to use and they hold various dance classes throughout the cruise. The gym isn’t particularly exciting but it has all the machines you’ll ever need, plus towels waiting. I went into the gym three times (never to exercise). The gym has amazing views out over wherever you are. If the gym isn’t your thing but you’d still like to get some exercise I’d suggest taking a bike tour in one of your ports. We did a bike tour in Tallinn and it was so much fun. It was almost 20 miles and it poured with rain the entire time. We still had an amazing time though and I would wholeheartedly recommend it. This one isn’t free as it is an excursion, but just another thing to consider. I will be reviewing this in more detail soon. Keep your eyes peeled! I filmed daily vlogs every day onboard Marella and will have these live in my YouTube channel soon! Make sure that you subscribe to make sure that you don’t miss them: Emma Cruises YouTube channel. I also filmed a ship tour (at 6 am) and a cabin tour. I have lots of other blog posts to bring you too. All about the food onboard, speciality restaurants and what is included in Marella’s ‘all inclusive’. 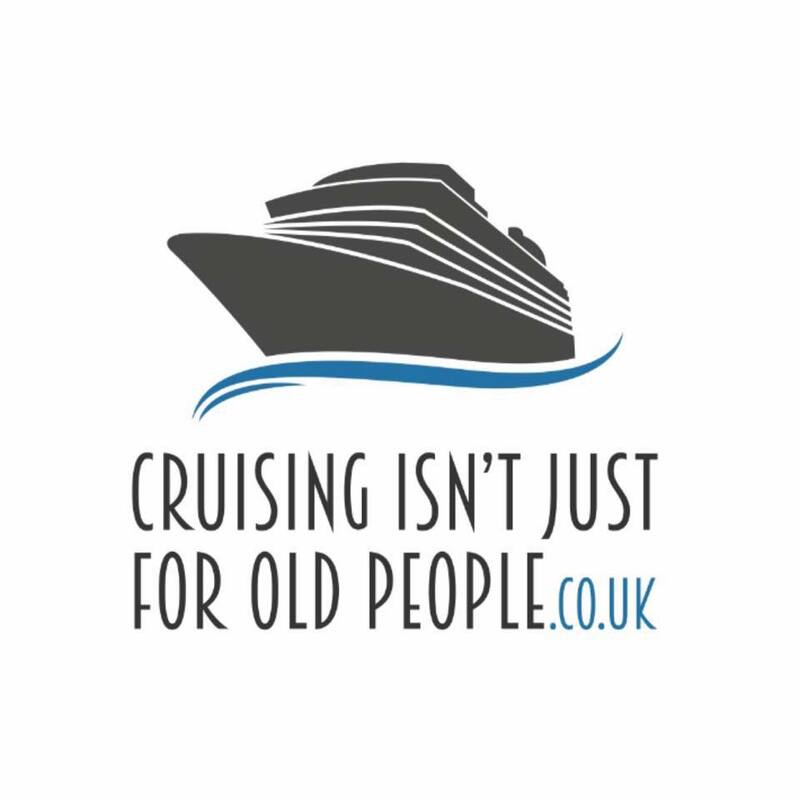 Considering a Marella cruise? Check out their website for more info! 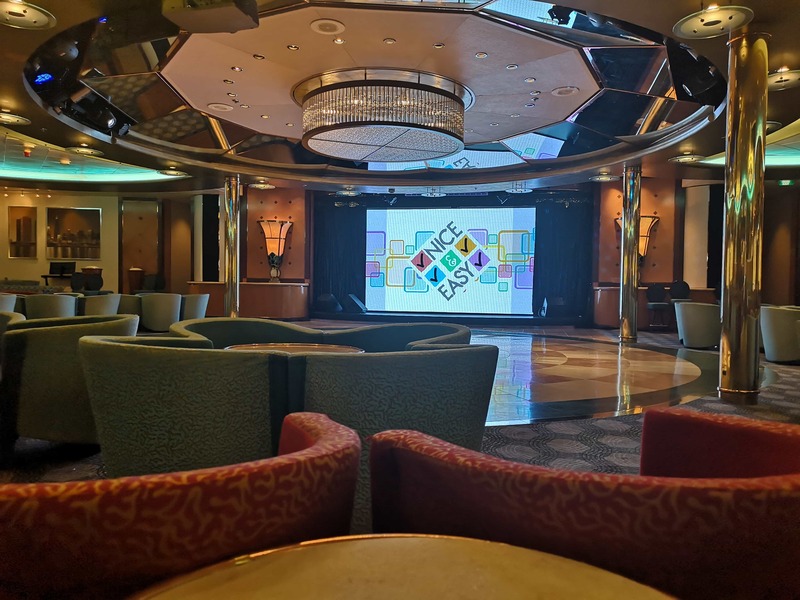 This is a bit of strange thing to write but… I shaved my head onboard this cruise. Crazy! 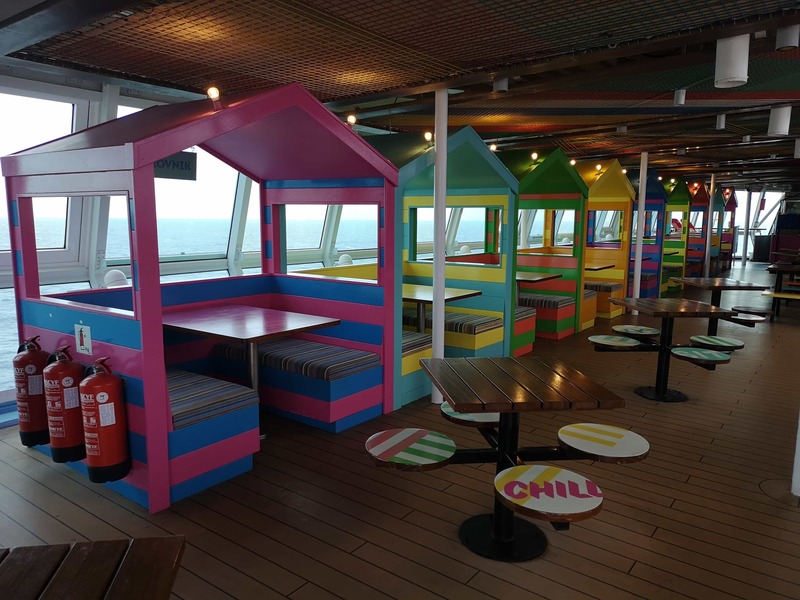 The passengers of the Marella Discovery raised an amazing £1500. We have raised £4500 in total! 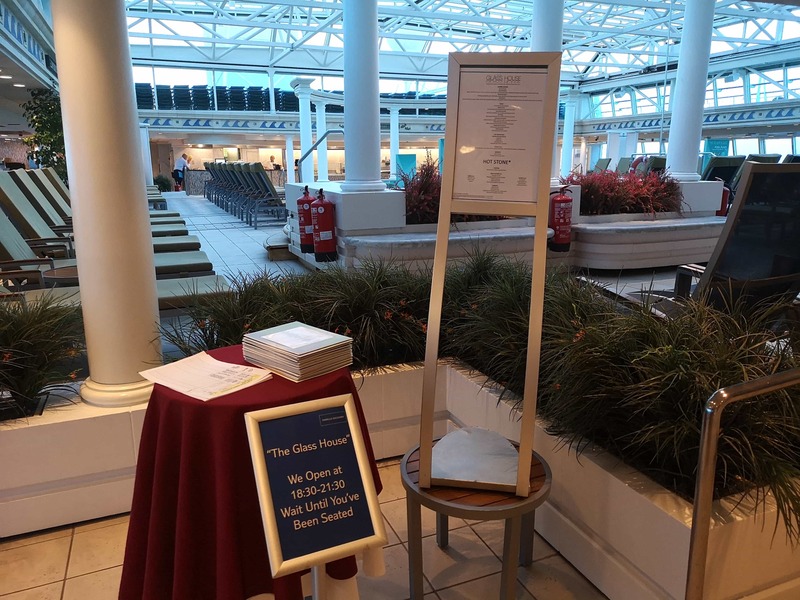 Thanks so much to Marella who organised this and thank you to the passengers of the Marella Discovery who were a fabulous audience! 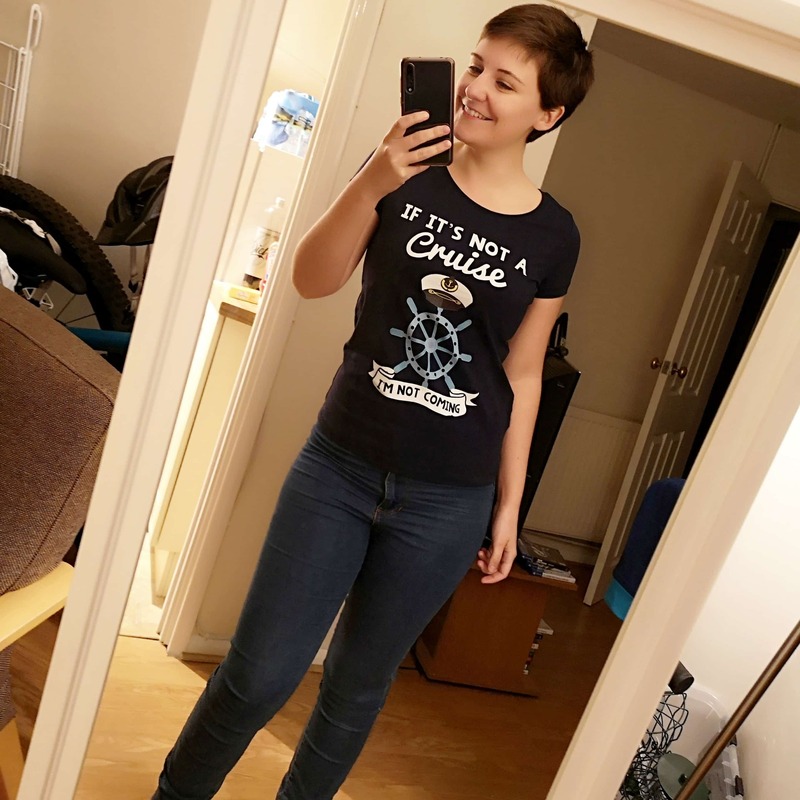 The donation pages are still available if you do fancy donating! 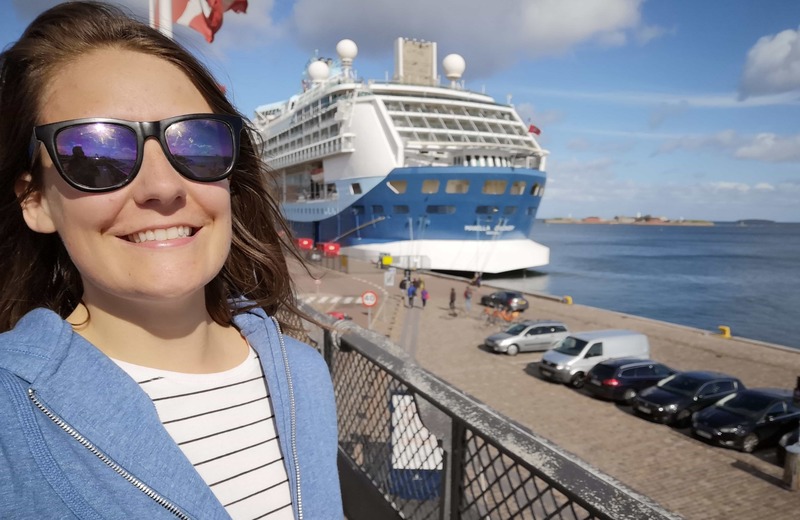 A BEGINNERS GUIDE TO MARELLA CRUISES – THE CRUISE BLOGGER. 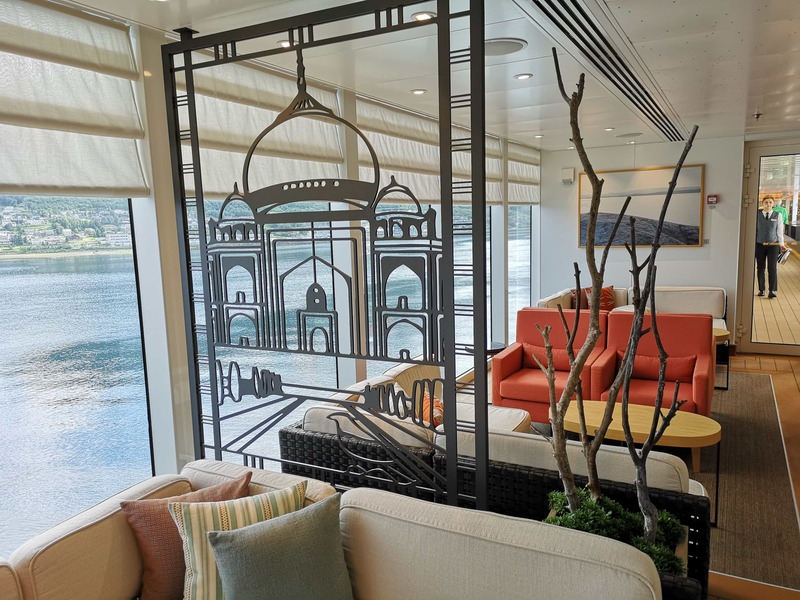 MARELLA EXPLORER SHIP GUIDE – CRUISING ISN’T JUST FOR OLD PEOPLE. Thanks for the tips, love the look of the Verandar and the jam jar cocktails! We really can’t wait to get on this ship. Sounds a fab idea with a night out seeing Sebby with the CIJFOP family too! Went on Discovery in march to the Carribean. Been on afew ships but was so impressed with Discovery. Great entertainment great staff. Food was brilliant. Hoping to go on the Asian cruise in 2020 if its still cruising there. Couldnt go on 2019 one. Would love to hear if anyone are going on the Asian one next year. Nothing bad to say about ship. Go and try and will be hooked. Hey Debbie! Thanks for commenting 🙂 Glad you were impressed too. The entertainment was amazing!! Iwas on Marella Discovery 1 earlier in the summer for the Fire and Ice cruise and had a fantastic time despite being ill and having to see the medical centre people.Felt a lot better after treatment.Hope you enjoyed your cruise and Bravo to you for raising so much money for Macmillan .A truly fantastic total. Glad to hear you enjoyed it too! Thanks for commenting. Fire and Ice sounds incredible!! 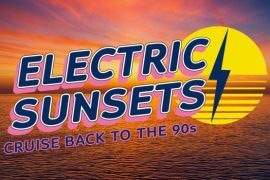 Regarding the Venue, we were talking to Phil Aizelwood the Cruise Director, who told us that there plans to ‘soundproof’ the floor and ceiling of the Venue so events can go on longer and later. Deck 6 above is where the officers sleep so, at the moment, this ‘venue’ has to close at 11:30 pm. I agree that a ‘refurb’ i.e. the furniture, isn’t really necessary. Hey John! Thanks for your comment. That’s interesting to here!! I never thought about the soundproofing before.